BEST FIGHTER FOR CANADA: DASSAULT IS OUT. Well... That didn't take long. Less than a week after Canada released a new Request for Proposals (RFP) to replace the CF-18, Dassault has decided to drop out of the running. This is despite the fact that the new RFP made it easier for European fighter manufacturers to compete. Unfortunately for Dassault, the new RFP still required the ability to integrate with existing NORAD and NATO infrastructure. Most notedly, encrypted communication. While the RFP did allow for additional leeway to meet this requirements, it does entail additional cost and risk. This was likely too much for Dassault. As unfortunate as this news is, it should not be that much of a surprise. Out of the five contenders, the Rafale was always the the "odd man out" when it came to compatibility. 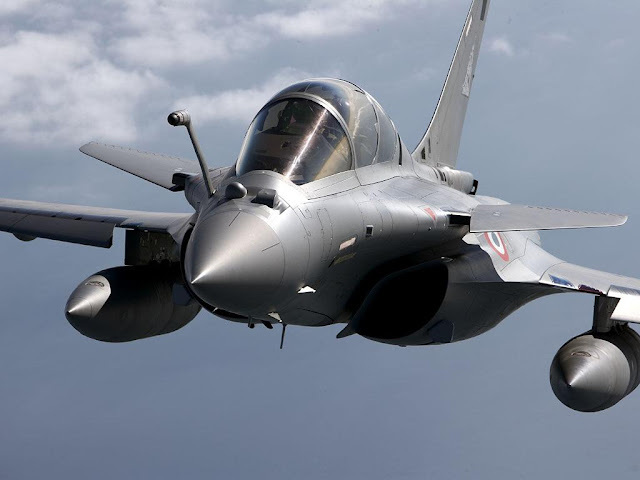 Dassault's insistence on French-sourced weapons and subsystems makes the Rafale a harder sell to other NATO nations, especially those with their own aerospace industry to support. Conversely, this simultaneously makes it more attractive to third-party nations (like Libya or India) due to less hurdles involving security clearances and politics. One of the apparent sticking issues with the Rafale was apparently the fact that France is not part of the "Five Eyes" intelligence sharing network consisting of Australia, Britain, Canada, New Zealand, and the USA. This seems odd, as Five Eyes deals mostly with intelligence gathering and has little to do with jet fighters. Perhaps some aspects of the Rafale would have difficulty passing the required security clearance. So what does this mean for the other fighters? Obviously, the F-35 and Super Hornet should have little issue meeting compatibility requirements. The Typhoon (being flown by Britain) should have little problem being integrated into NORAD and meeting Five Eyes requirements. Whether or not Saab can meet these requirements is unknown at this point. Sweden is not part of NATO or NORAD, but does market the Gripen to NATO nations. Saab also places a fair emphasis on the Gripen's "connectivity" and ease of integrating new systems. The Gripen is also already cleared for most of its potential weapons, something that cannot be said about the Rafale. I have long said that the Rafale's biggest roadblock would be integrating it into the RCAF's existing infrastructure, not its performance. It remains an excellent fighter, just not the right one for Canada.